After Melbourne I travelled to Cairns and Great Barrier Reef. It’s an absolutely beautiful place and I am so glad I went there. 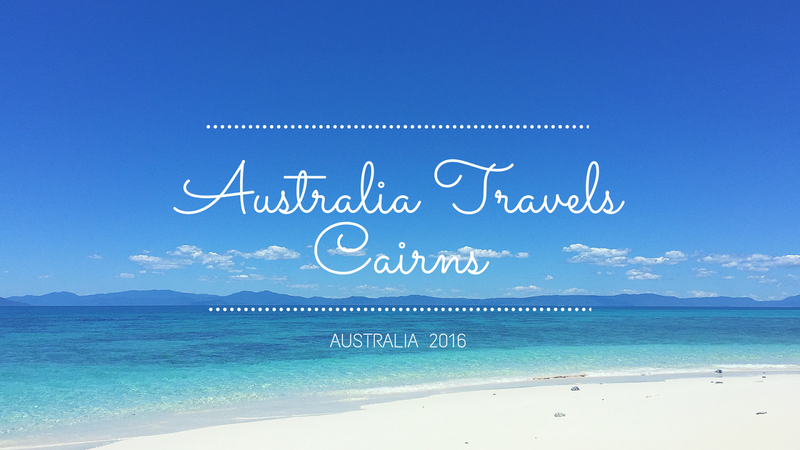 One of the most popular things to do in Cairns. Apart from visiting the Great Barrier Reef. 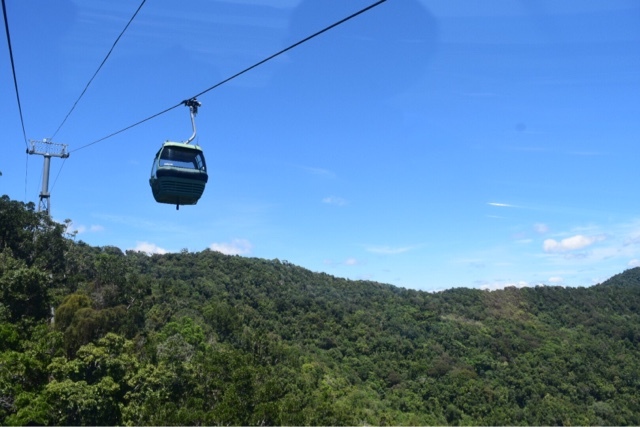 Is riding the Skyrail Rainforest Cableway up to the hinterland town of Kuranda. You take the Scenic Railway back down. This is a whole day trip. You can either book at your hotel or hostel or many travel shops in the town centre. I recommend purchasing the tickets that include the Skyrail, Scenic Railway and a bus to pick you up and drop you off at your hotel. Shop around as I paid around $128 rather than the listed $158. The Skyrail was opened in August 1995, and at the time was the longest gondola cableway in the world. 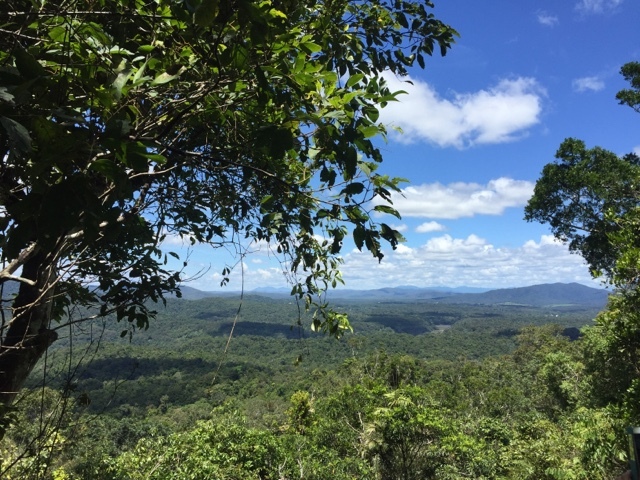 You travel for 7.5km over the top of the rainforest and can see for miles around across Tableland Valley. You stop at Red Peak Station and can have a free tour with a ranger. They explain all about the plants, trees and animals in the rainforest which was so interesting. 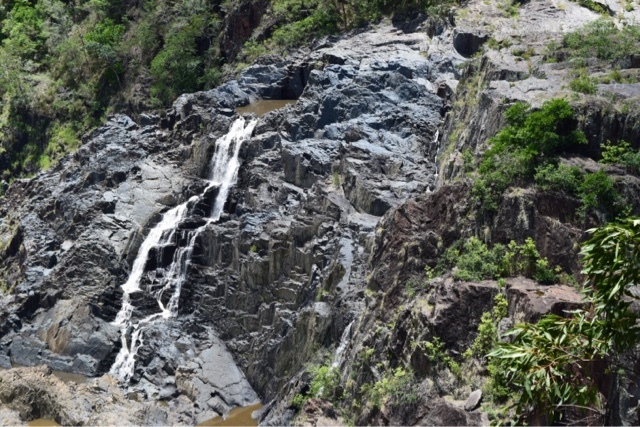 You stop again at Barron Falls Station to see the waterfall and Barron Falls Gorge. You can pay extra for a cable car with a glass bottom. I wasn’t really that bothered as you can see so much in a regular one anyway. Once you get to the end of the Skyrail you are in Kuranda Village. 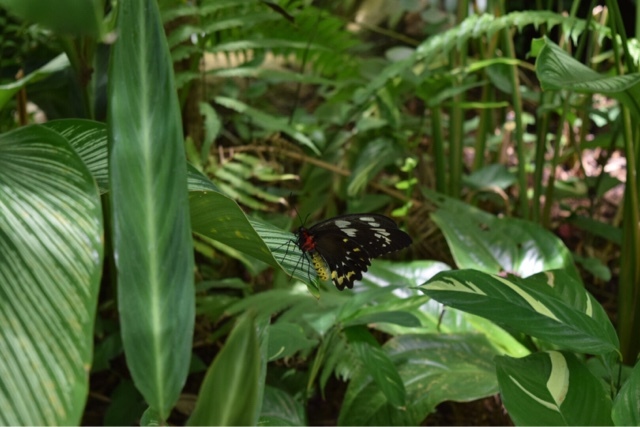 There are a few things to see and do including the Koala Sanctuary and Birdworld but I chose the Butterfly Sanctuary as I think they are so pretty and I’ve never been to one before and thought it would be really interesting (which is was). 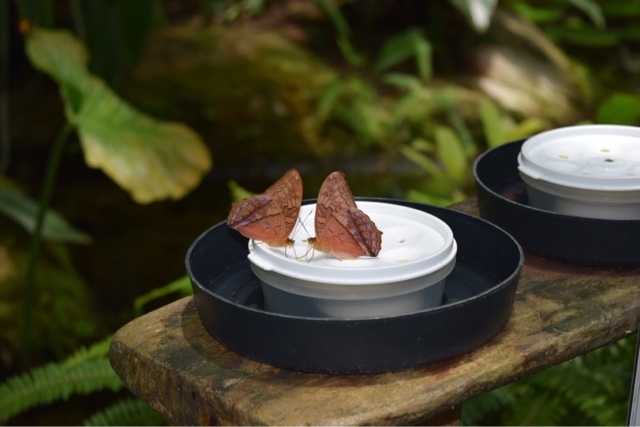 I really recommend going and it only cost around £10 so great value for an hours look around the sanctuary and lots of fun trying to get the butterflies to land on me! quick walkway which we unfortunately had to take or the 3k rainforest walk which I really urge you to do if you can, especially because I wasn’t able to! The Kuranda Scenic Railway winds its way down along the McDonald ranges back to Cairns and the ride takes around an hour and a half, you have a commentary during the ride of how the railway and all of the tunnels was made so you learn a lot while enjoying the beautiful views. I’ve always wanted to go to the Great Barrier Reef. I was extremely lucky to visit Vlassof Cay, named after Vince Vlassof who built the underwater observatory at nearby Green Island. Vlassof Cay is a magical sand cay in the middle of nowhere. It’s a strip of white sandy beach in the middle of the sea surrounded by beautiful crystal clear water. It looked like something from a film or like I was in an Instagram photo. I looked at so many photos before I went there and it was better than anything I could have imagined. 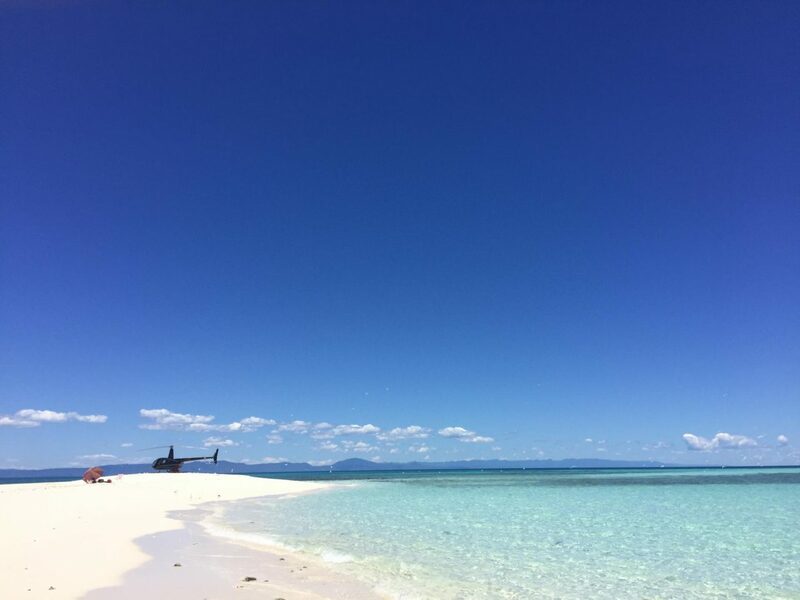 I flew there on a helicopter with Nautilus Aviation and the package includes a scenic flight to the cay with a picnic, champagne and two hours in your tropical paradise to snorkel the Great Barrier Reef and sunbathe and just have the best day ever. It was absolutely amazing and I can’t say I had ever imagined I would be sipping champagne on a secluded sand cay in the middle of the Great Barrier Reef…ever! It’s funny how things happen. I hadn’t ever been on a helicopter and it was absolutely amazing, the views were spectacular and I felt a bit like James Bond! Definitely something I would love to do again. I stayed in the Shangri-La which is a great hotel on the Marina. 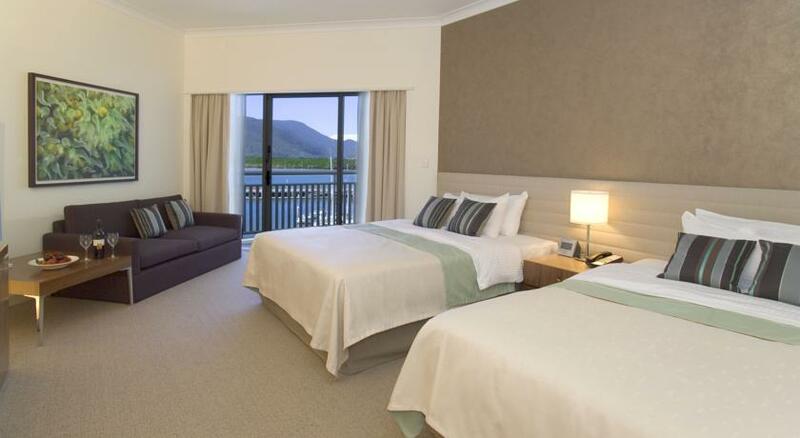 The hotel is rated a 5 star but It’s more a 4 star and about the location and the views. The reception staff weren’t the best but the views were beautiful and the bars and restaurants were great. The Global Backpackers hostel nearby has an almost identical location. You can walk for 3 minutes to the Marina so I recommend staying there and saving your money. You can also book trips there such as sailing the Whitsunday Islands that I intend to do one day. 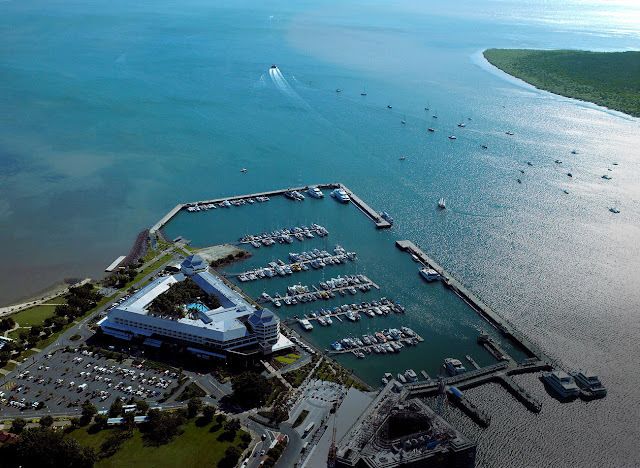 If you have any Cairns and Great Barrier Reef travel tips please post them in the comments below!